Flowers that are found in the tropical rainforests of the world are adapted to moist, humid climates with temperatures usually above 65 degrees Fahrenheit. 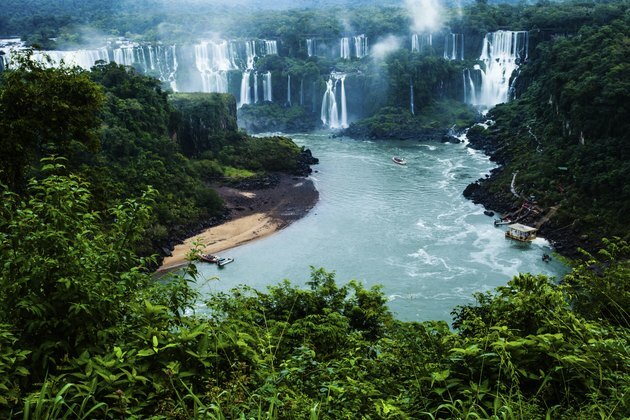 The tropical rainforest is an exciting ecosystem in itself, filled with exotic flowers that house their own supply of water, and carnivorous plants that can reach up to 30 feet in height. 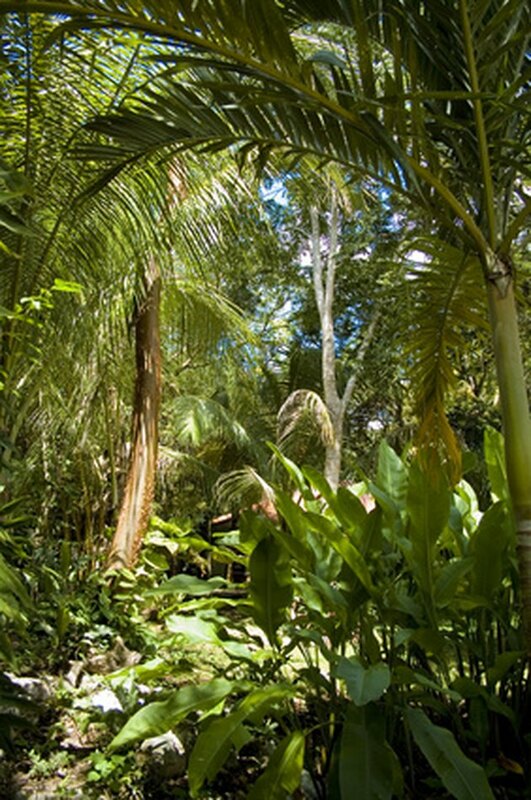 Rainforest are exciting ecosystems with exoitc plants and flowers. With over 20,000 known species, the orchid is one of the most common types of flowers found in tropical rainforests. Orchids that search for more sunlight through the dense forest canopy actually grow in the top part of tree branches. These types of wild orchids are called epiphytes, which begin their life from seeds dropped by birds and other animals in the canopy of the rainforest. 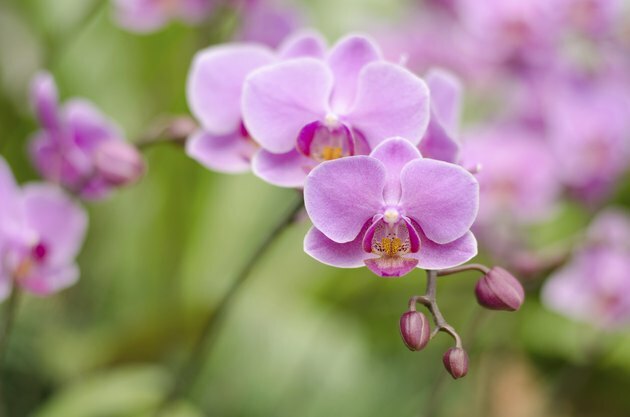 Orchids have many different shapes and colors, but most share the same distinction of three petals and three sepals. The strikingly beautiful queen's tears plant produces long pink stems that feature swinging green and pink flower clusters filled with yellow pollen. Queen's tears is often found in the rainforests of Argentina and Brazil. With leaves that hold water, this extremely hardy plant can also suffer moisture neglect but still thrive, making it a wonderful houseplant. Like the orchid, the queen's tears plant is epiphytic and can be widely found growing, supported by its root system, in the canopy of the rainforest. 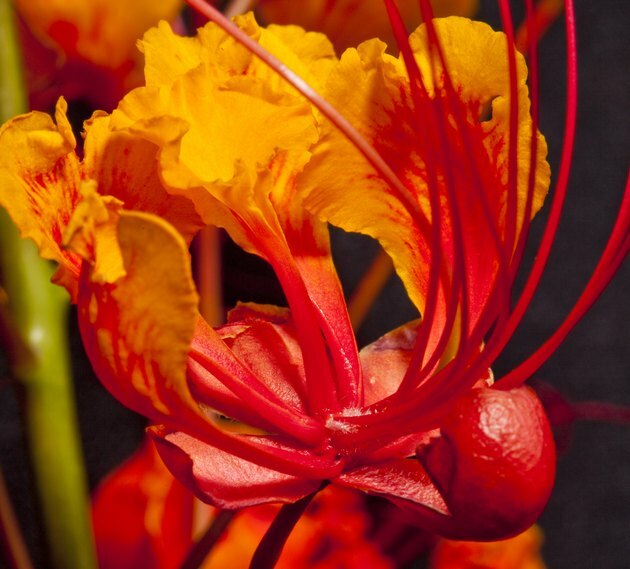 The poinciana, or peacock flower plant, has exotic, bowl-shaped red and orange flowers. This tropical plant can survive in other regions of the world, but is native to the tropical Americas. Poinciana can grow up to 20 feet tall in the tropic environment with up to a 20-foot spread as well. This fast-growing plant features branches and stems with sharp spines and fern-like leaves. 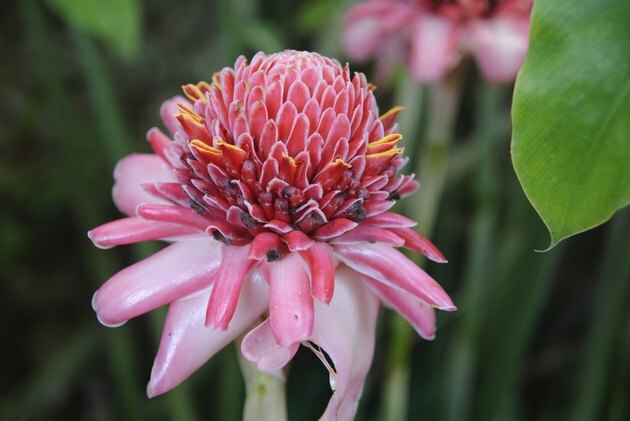 The torch ginger plant has exotic, beautiful red or pink flowers that emerge from a red cone. Torch ginger plants have flower buds that are chopped and added into Malaysian dishes for their spicy flavor. With black seeds and evergreen leaves that can grow up to 20 feet tall, the torch ginger plant is one of the most unusual, yet striking plants in the tropical rainforest regions.